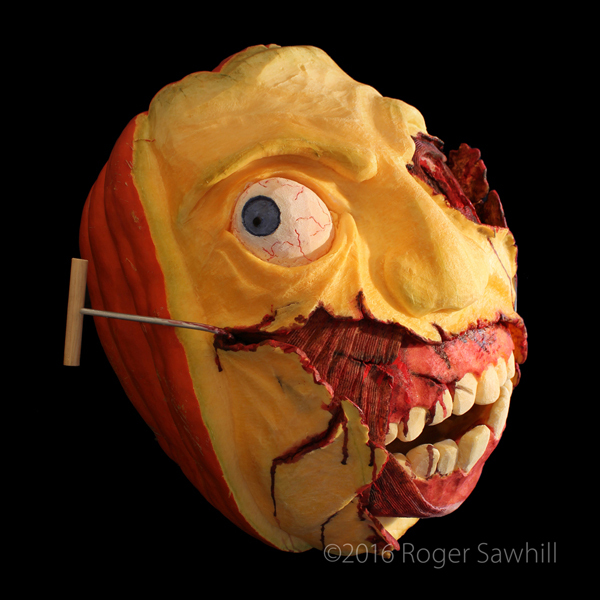 UP-Ideas’ partner, Roger Sawhill, has a strange annual obsession — pumpkin carving. For years, the pumpkins have gotten bigger and the carvings more unusual. His carvings usually come to life over a two day carving session. They have ranged from a simple 12 inch pumpkin to ones that are over 30 inches in diameter. This year, the pumpkin weighed in at just under 100 pounds. 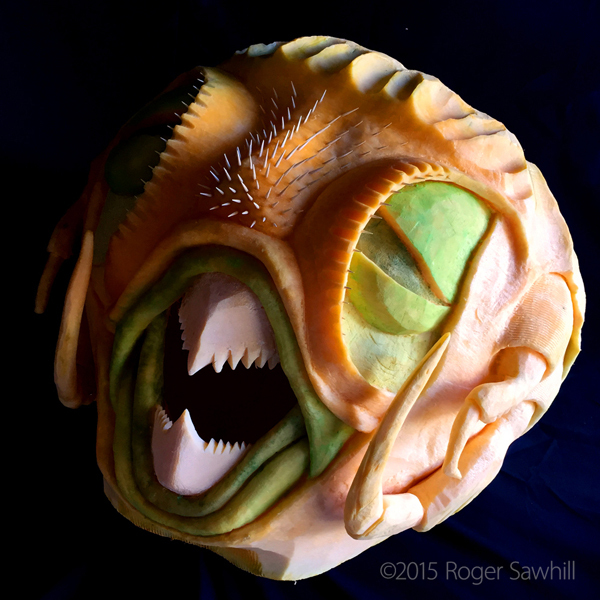 If you’d like to see stop motion videos of some of his carvings, click here. 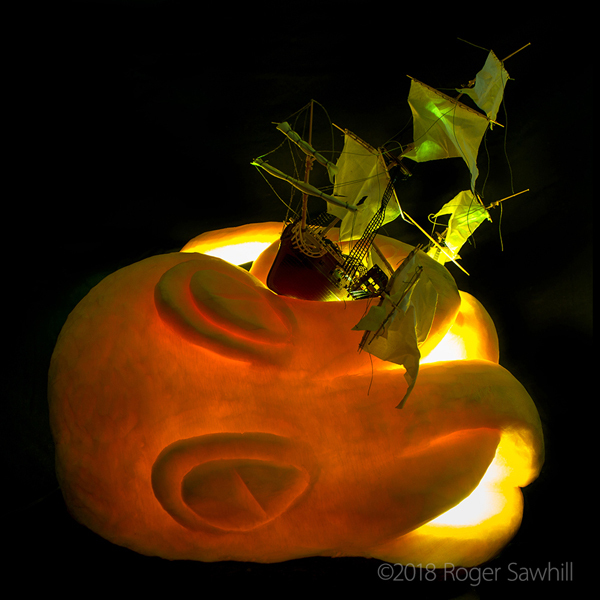 We’ve added a couple photos of his previous pumpkins below this year’s photo.